Launched by Laura’s Loom in 2008, the Howgill Range has a limited edition of 70 throws woven in one design – a herringbone twill with a subtle vertical stripe. The throw, known as the Howgill Classic, is finished in two colours – a pure undyed natural cream and a rich deep madder. In 2009, the Dentdale was introduced with 12 large throws and a range of new products which includes baby and cot blankets with handsewn satin borders, stylish wraps and scarves. The Howgill Range is woven in exquisite herringbone cross-check – the hallmark of the range. The process starts with a couple of hundred roman nosed Bluefaced Leicester sheep. Following the shearing, there is then the skirting, sorting, scouring, carding, spinning, coning, warping, beaming, sleying, threading, winding and then the yarn is ready for weaving. 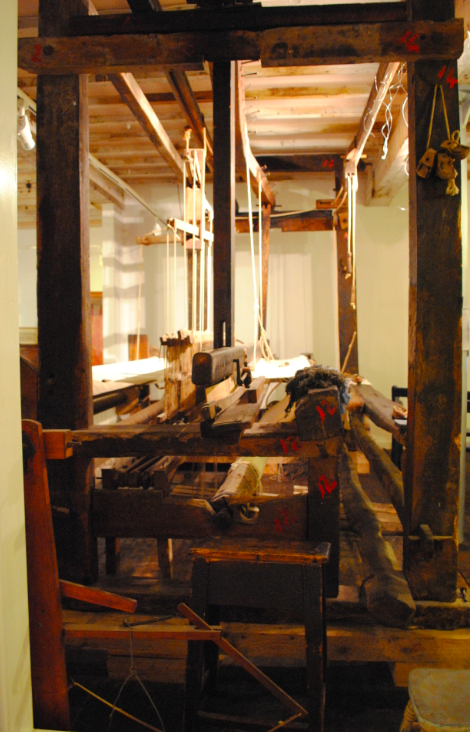 For the throws, the yarn is weaved on traditional Dobcross shuttle looms and modern Dornier rapier looms for the smaller items. 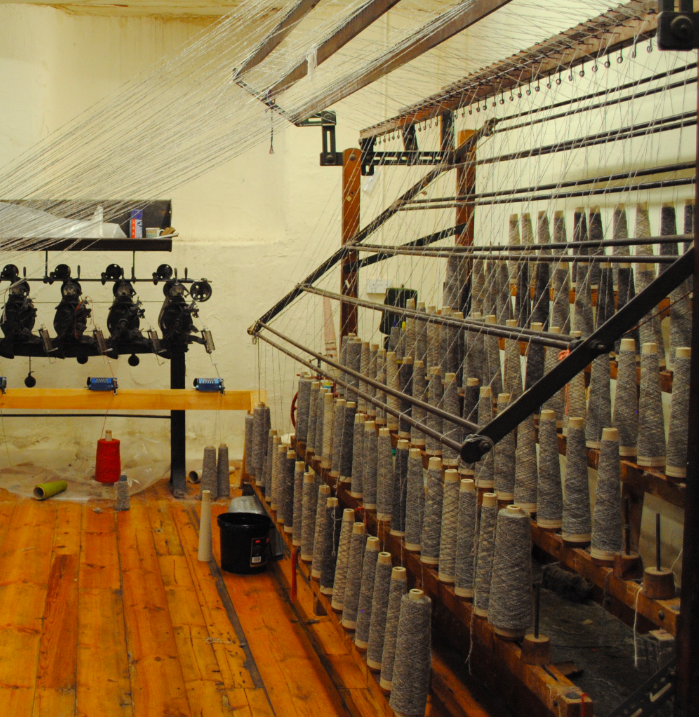 The yarn is then transformed through steaming, blowing and purling of fringes into soft fabric. The people involved in the process of cloth making are all highly skilled craftsmen and women. During the 18th century, Sedbergh, Garsdale and Dent saw people knitting wool everywhere from sitting on doorsteps to walking to work. The ‘Terrible Knitters e’ Dent’ became famous all over Britain after Robert Southey described them in a story published in 1834. Meaning terribly good, the true story tells of two girls, Betty and Sally Yewdale, who were sent to Dent in the 1760’s to learn how to knit. They hated knitting as they were forced to knit as fast as they could all day long. The girls eventually ran away and walked the long miles home to Langdale via Kendal. The knitters of Dent and Sedbergh used a thick, greasy yarn called ‘bump’ as well as finer wool for special items like patterned gloves. They made hats and caps, mittens, socks, waistcoats and jackets which were called frocks. Joseph Denver died in 1838 but his sons and their descendants ran Farfield Mill for nearly a century until 1937. The government in Australia, one of their main outlets, put higher tariffs onto imported cloths. 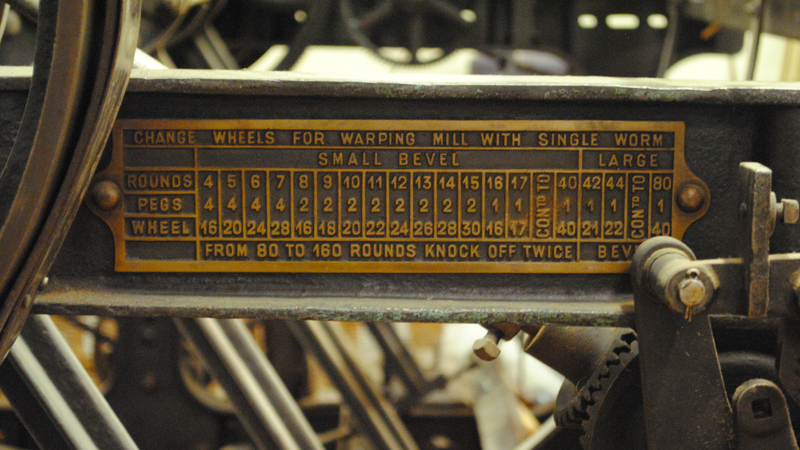 Demand for Farfield’s check horse blankets and collar lining cloth was in decline as there were fewer working horses and with the continued loss of business, the Dover family decided to sell the mill to the Farfield Spinning Company. 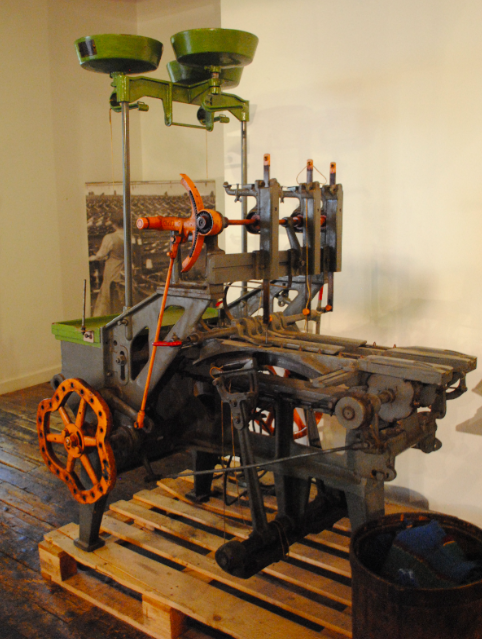 There was various owners throughout the following years with the buildings used to store wool, for making cheese during the Second World War and for making crankshafts for Airspeed Oxford Trainer planes. 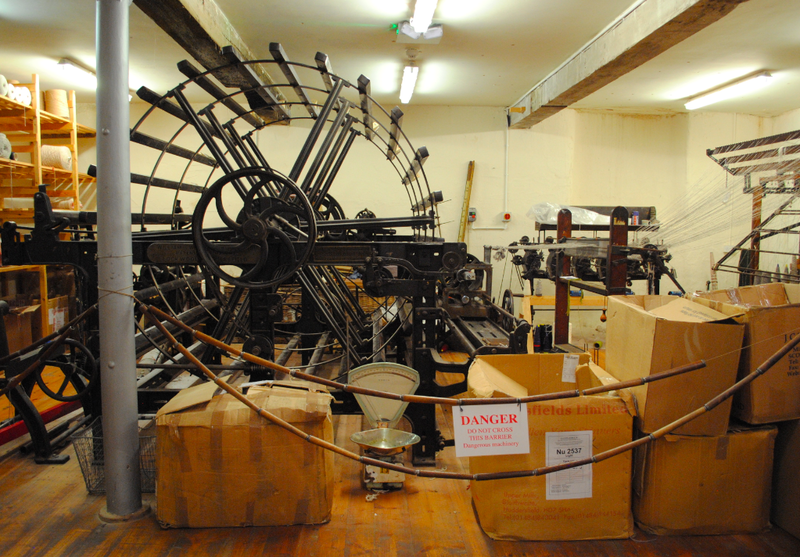 Despite having a revival during the 1960’s and 1980’s, the mill was never used to full capacity again. 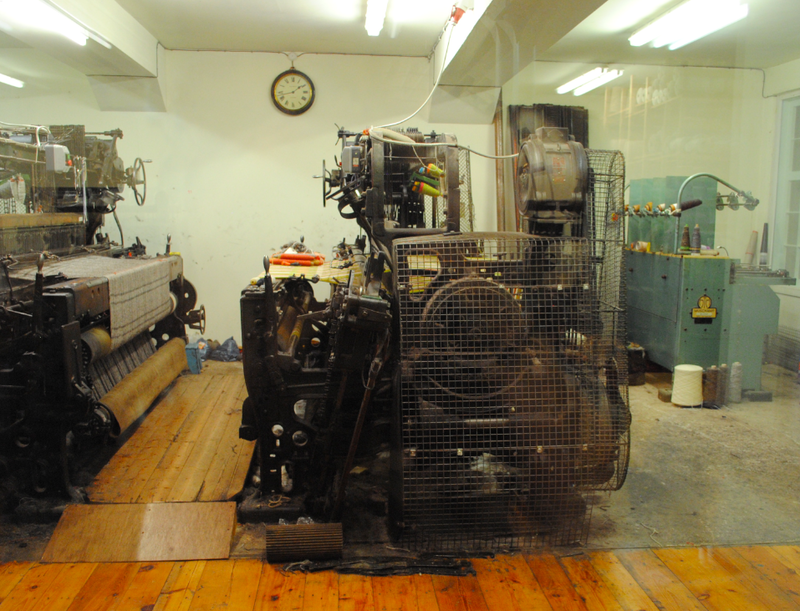 David Douglas started weaving woollens under the trade name of Pennine Tweeds and he trained Bryan Hinton to use the remaining 1934 Dobcross looms. Bryan and his wife took over the business, weaving wool and mohair goods, until October 1992 when they gave up the business.